Canadian Daily Deals: Walmart Pre-Black Friday is Live! Walmart Pre-Black Friday is Live! Walmart's Pre-Black Friday promotion has now started! Shop before the craziness of Black Friday starts, offers are available in-store and online. No rainchecks and while quantities last. 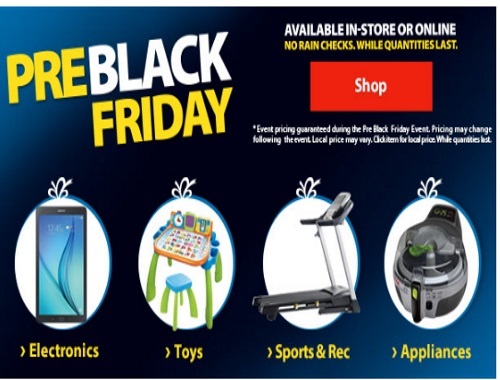 Click here to browse Walmart Pre-Black Friday.